Do you think i have chances for getting the H4 EAD if i apply now? Im planning to move to H4 in 2 weeks. Or are the chances low? Also thanks for this amazing site and for keeping us all posted. Thanks for your feedback. I am glad you found website useful. You can apply for H4 EAD and you will get it. The withdrawal rule is still not out and they are working on EAD applications as normal at this time. I have a quick question regarding the Form I-765, Application for Employment Authorization. It was mentioned in your blog that USCIS has updated the I-765 form to latest edition 05/31/18. 05/31/18. Starting 09/17/2018, we will only accept the 05/31/18 edition. Until then, you can use the 07/17/17 edition. You can find the edition date at the bottom of the page on the form and instructions. So, i was searching for the older edition (07/17/17) on the USCIS site, since the date mentioned (09/17/2018) was not crossed, but couldn’t find the older edition. Now my question is which edition should i use if i am applying on 08/03/2018 which will reach on 08/07/2018? Should i use 07/17/17 edition as mentioned by USCIS? If so where can i find that form? Should i use 05/31/18 edition though it is not 09/17/2018 ? USCIS mean that you should use the new form now on-wards but they will still accept the old form till 09/16/2018. Anil, on the July 19th update, you say that the current EAD’s will be valid with the new ones stopped. Where did you receive that information from? Does it meas those who have already applied are affected? I have applied for my wife on Feb 6th 2018 and not yet received any update. USCIS not allowing me to raise a SR as they are saying 5-7 months is the normal processing times. There is no official information from USCIS or DHS at this time. We all are waiting for them to publish the terms and conditions. I said that existing EADs will be allowed to continue to be used till they expire once the rule comes out. This was based on an assumption. Also, H4-EAD applications are still allowed and they are getting approved. Its just that they are taking time to be processed. Yes, you can’t raise SR unless your application is out of normal processing time. Thanks for your clarification Anil. According to the timeline charts that you have provided a link to, USCIS is currently processing Feb 15th or so applications. Whereas my application was on Feb 6th. I have had no luck as yet. At that time (around march 2018), applications were getting approved within 30 days in california (with references to cases in trackitt by inputs from other applications). I raised an SR using the web rather than calling them this time. Lets c what happens. Ok..if your processing time is before the date mentioned on our chart, then you can raise the service request and you should get a response. my friend got selected in h1b lottery and waiting for approval.. mean while he was looking for a permanent job as he applied for ead and waiting for that. He want to transfer h1b to an permanent job employer instead of working for the consultant who processed h1b. Is it possible to change employer immediately after h1b approval and change the status to new employer instead of the one who processed the visa. he is currently in h4 and inside united states. Yes, he can apply for H1B transfer to new employer once his H1B is approved. Is it necessary that he should work atleast for few months and then only he can transfer because he is afraid that the consultant can revoke his h1b as he is not working for him. 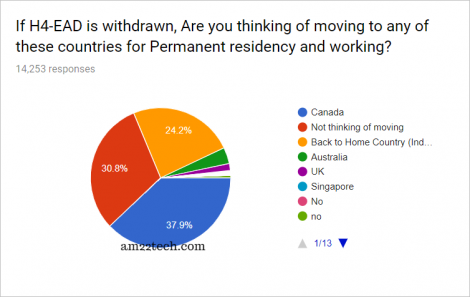 Another question is whether the consultant who processed the visa should do h4 to h1 conversion or the new employer can also do the conversion. Does he have any negative impact in leaving the consultant or he should work for consultatnt and later he can switch. Which is more recommended. Yes, it is recommended that one should wait till the start date of H1B with current employer to file for H1B transfer. For example, if the H1B start date is given as Oct 1, then at-least wait till Oct 1 to file the transfer application. USCIS these days is pretty strict with H1B. The current H1B application, if approved, will change the status from H4 to H1B automatically on start date mentioned on H1B approval. There is no negative impact on leaving the consultant. Everything depends on the paperwork submitted by each employer separately. How to check the start date on H1B. He has only the lottery approval notice and it doesnt mention anything in that receipt. Two things you have mentioned.. first one is to file transfer application and other is h4 to h1b cos automatically. Will the cos done automatically after h1b approved or the consultant has to file the transfer application physically to convert h4 to h1b. how does it work. 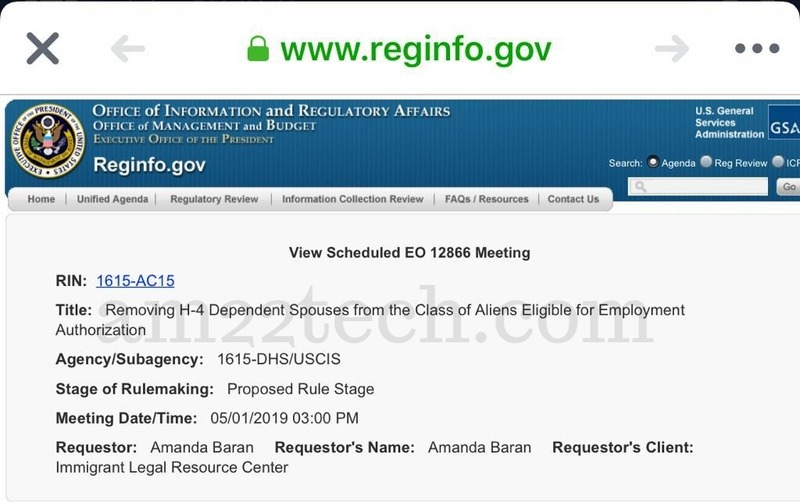 Can he work on h4 ead and doesnt transfer from h4 to h1b untill the rule is close. If he work in h4 ead for one year…is it possible for him to use the same h1b approval and convert it later with a new employer …What is the recommended option. 1. Start date will be mentioned on the H1B i797 approval form. Your employer will receive it. You have to ask them. Has your friend received the final H1B approval or just the lottery result? 2. When you file H1b in lottery from within US, you have the option of filing the application with either ‘Change of Status’ or ‘Consular processing’. If your employer has filed H1B with ‘Change of status’, then H4 to H1b conversion will happen automatically on H1B start date. There is no need to file separate h4 to h1b application in that case. Ask your employer which kind of application did he file. 3. As I already mentioned, status change from H4 to H1B will happen automatically. If he/she wants to keep working on H4 EAD, he will have to apply for H1B to H4 status explicitly after H1B approval. H1B can be used anytime by applying for ‘change to status’ to H1B as you wish. He has only the lottery receipt.. how long will it take for the h1b approval. I will ask my friend to check with employer and ask about the cos. Thank you for your valuable suggesstion. Your forums and the site information are really helpful for us. Thanks a lot. There is no defined processing time. USCIS will take their own time to process the H1B. I am glad it has helped. You cannot apply for H4 EAD extension (or renewal) before 180 days of its expiry. So, even if you apply now, USCIS will reject your application with an RFE! Thanks Anil for clarifying. The attorney gave us an option that i can apply for extension but looks like its not the case and i was under assumption when applying for H1 transfer we should apply for H4 EAD extension as well.. i would rather not apply for extension if its going to result in RFE and denial. Thanks again. We applied for H1B, H4 And H4 EAD extension in March, where H1B and H4 was approved, but got RFE on H4 EAD asking for color photos, we immediately sent them the color photos.Then case status changed to “Response To USCIS’ Request For Evidence Was Received”, but after that we did not receive any response, we tried following up and created a service request after 60 days, but we’re asked to wait until 90 days, later after 90 days we couldn’t open service request, so we called them up and we’re asked to wait next 30 days. And I recently received new job, but my work visa will expire by Aug 14th. Please advise how we can follow up with USCIS. And one more info, all three applications were applied with H1B premium process. There is nothing that you can do at this point except to wait. USCIS is pretty strict with processing times these days. They do not raise service request unless your case is out of normal processing time. For your information, even though you filed all 3 in Premium, only H1B is counted as premium application. H4 and H4 EAD are MOSTLY processed in same premium timeline as a COURTESY. There is no guarantee though. Since your H4 EAD had RFE, USCIS has probably now moved your H4-EAD processing to regular processing. Today, they are processing H4-EAD applications received on or before Feb 5, 2018. What you can do is try to file an H4 EAD application ‘Expedite’ request. NOTE: USCIS may or may not approve your expedite request. Thanks a lot for the info Anil!! Will try this option too. Hi, is it worthy to apply H4 EAD for my spouse now? my H1 is valid till Apr 2019 only. Yes, it is worthy. DHS has not drafted any rule yet and even if it is drafted and published today, it will still take couple of months to make it final and legally bound. I strongly advise to apply and get the H4-EAD as soon as possible. My H4 EAD is valid till April 2019. I got picked up on 2016 H1 Lottery and petition was approved for 1 years but I never used it . My H1 is not yet revoked from my Employer as he is my family friend . At this time, nothing is clear from DHS. The process to rescind H4-EAD is being actively pursued by DHS due to political pressure. It is bound to go away sooner or later. There are high chances of lawsuit to block the DHS decision once they come out with final rule. Everyone in H4-EAD boat is counting on the lawsuit. But, i know many people in my circle who have changed their status from H4 EAD to H1B as they do not want to take any risks. Its an individual choice at this time. 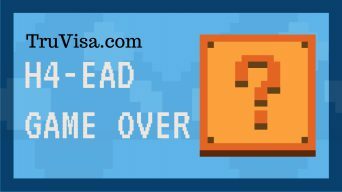 H4 EAD may go away by 2018 end finally or may get stuck in long court battle. Anything can happen. There is no harm in waiting till Oct though as the H4-EAD withdrawal process, if started by DHS, will not complete anyway by Oct. So, you can decide later too. Thanks you Anil for your response and valuable input !!! A class action lawsuit should be filed against DHS. It it worth to apply for new H4EAD now as USCIS is going to remove this law. The withdrawal rule is still not finalized. So, you still have a chance to get the H4-EAD approved. Also, once it is approved for 3 years, the chances are high that you will be allowed to work for next 3 years at-least even after H4 EAD is terminated. So, if you are planning to apply, i would strongly recommend to apply as early as possible. thanks Anil. Can I send personal check as fees or cashier check is must? It is better to file all 3 together if your H1B is eligible for premium processing. If you are going to file in regular, then it is better to keep your current H4 EAD active. My estimate is the slowest dates will prevail if DHS publishes rules. DHS has already taken more than 1 year to even come out with any H4 EAD removal rules. You can travel while H4 EAD is pending. USCIS does not stop or pause your application while you are away. The note is for the case where you have both H4 COS and H4 EAD pending with USCIS at the same time. When you leave USA while H4 COS is pending, USCIS automatically abandons your H4 application. As H4 EAD depends on your valid H4 and when it is abandoned, there is no basis for H4 EAD to be approved. If you already have approved H4 visa stamp, you can travel after filing H4 EAD application. Hello Anil, my spouse’s H-4 and H-4 EAD petitions were filed concurrently in Sep 2018 at Vermont Service Center. Both petitions are in pending status currently. USCIS case processing timelines show 12 to 15 months for H-4 extension. My spouse is thinking of going to India and apply for H-4 visa at the consulate. If we go in this route, what would happen to the pending H-4 EAD extension petition? Will it be valid or considered abandoned? Once my spouse comes back to US, do we have to reapply for H-4 EAD again? Please let me know your thoughts. Thanks. Hello Anil, thank you the info provided. We had filed for H-4 and H-4 EAD extension together on Sep 28, 2018. Can you please let me know if we can raise a service request based on ONLY the H-4 EAD receipt date? As of Feb 21, 2019, the “receipt date for case inquiry” at USCIS Vermont Service Center for EAD (I-765 form) is Sep 14, 2018. Can I raise a service request once this date crosses Sep 28, 2018? The H-4 extension date listed is Nov 2017!! How can USCIS still be processing H-4 extension applications filed in 2017? Even if you raise the SR on the basis of H4 EAD receipt, you will not get anything out of it because as per the law, your H4 should be approved to get H4 EAD. H4 EAD is dependent on H4 status. You can still give it a try if you want. USCIS is overloaded with cases at this time to a ridiculous level. Processing times are extremely long. Spouse Passport expiry does not affect H4 EAD validity date. Primary H1B’s approval validity date is given for H4 EAD expiry. It can be any employer old or new if you want to reclaim your H1B remaining time. Your current employer can file for your H1B and use the remaining time. Looks like you are running late by about 2 years. This news has been running around for last 2 years now. Anyway, the expectation is that DHS will allow existing approved EADs to run through their validity. But, there is nothing known yet and we will update the article as soon as we get to know.